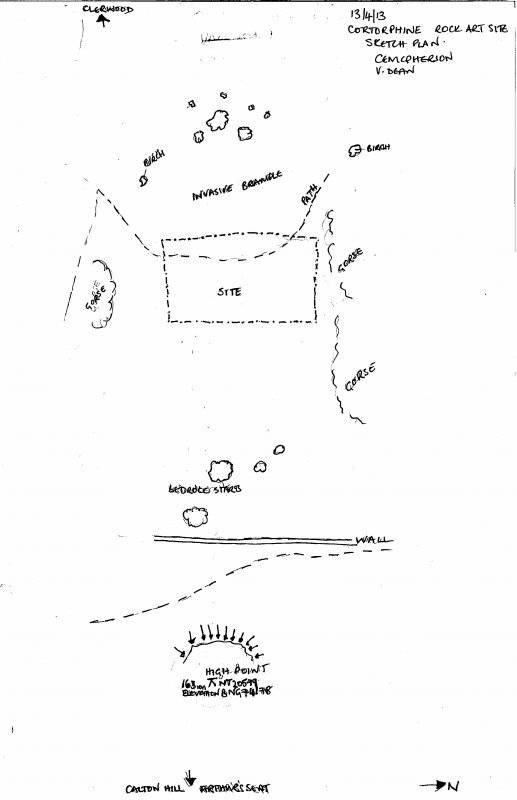 Site visited by RCAHMS (JRS) and R Fulton, the finder, in 1991. 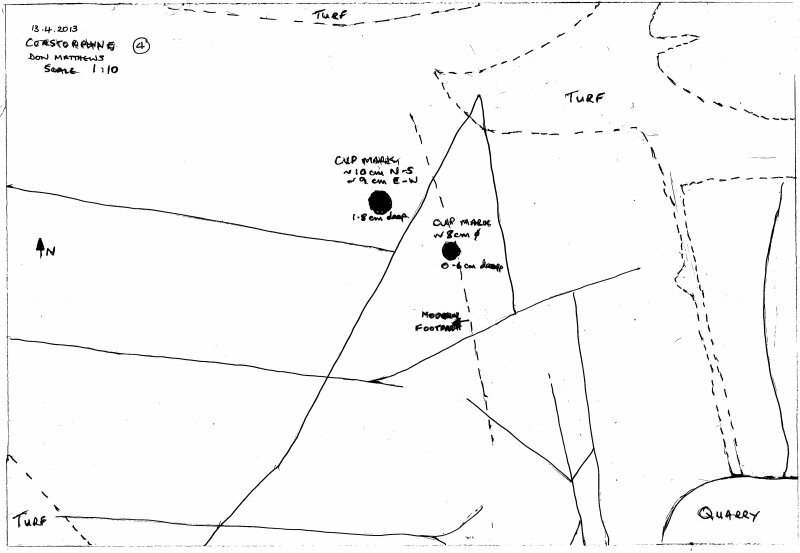 Information from RCAHMS (KM) 17 February 2000. 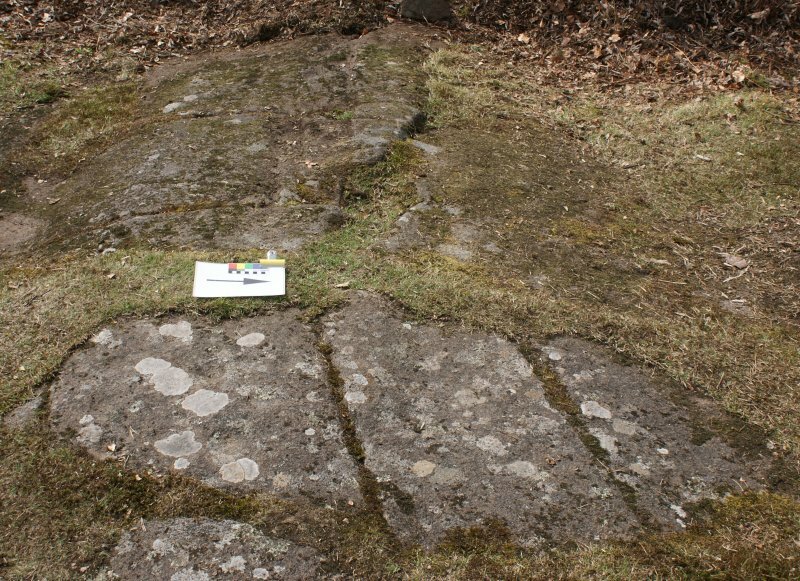 NT 2052 7414 While the existence of cup-marked rocks on the W-facing slope of Corstorphine Hill has long been known, there has been some discrepancy in accounts of the extent of the cup-marked slabs and of how many cup marks are present. 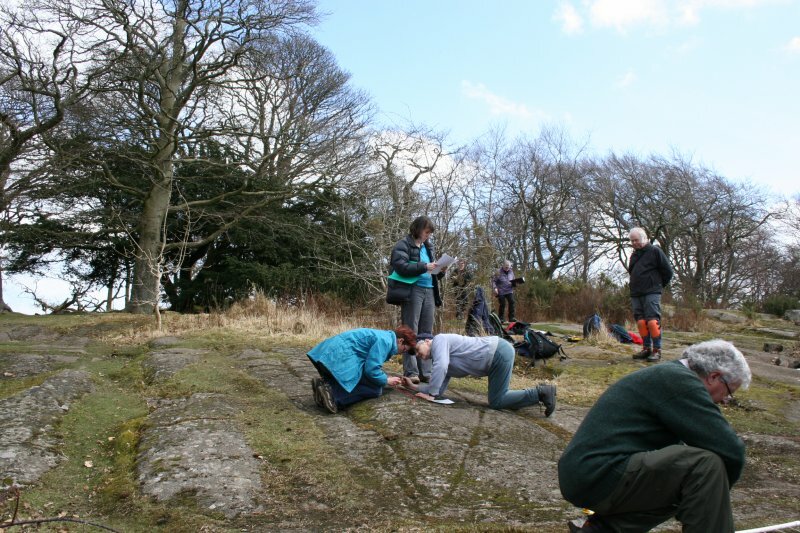 On 13 April 2013 members of EAFS, under the guidance of Dr Tertia Barnett, have created a record of the cup-marked rock slabs using a standardised methodology which has recently been developed for recording rock art in the N of England. This system uses standard forms to record the location, description and environment of the site, as well as potential threats. 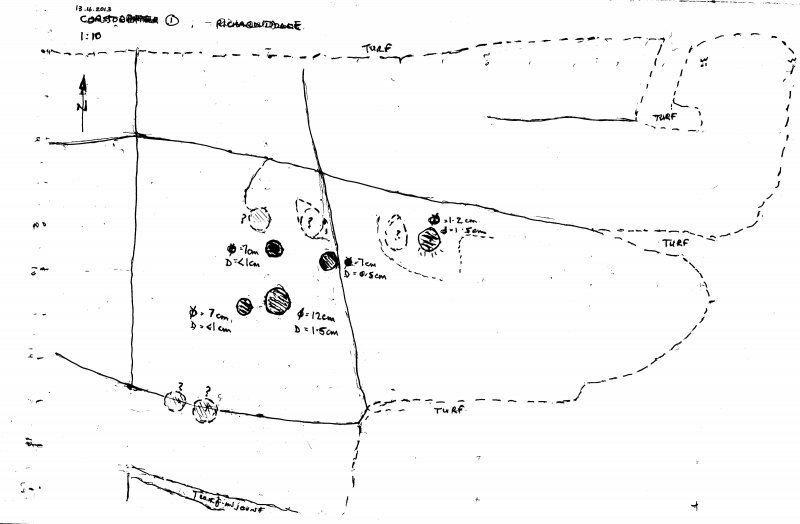 The site is drawn and photographed in consistent formats. 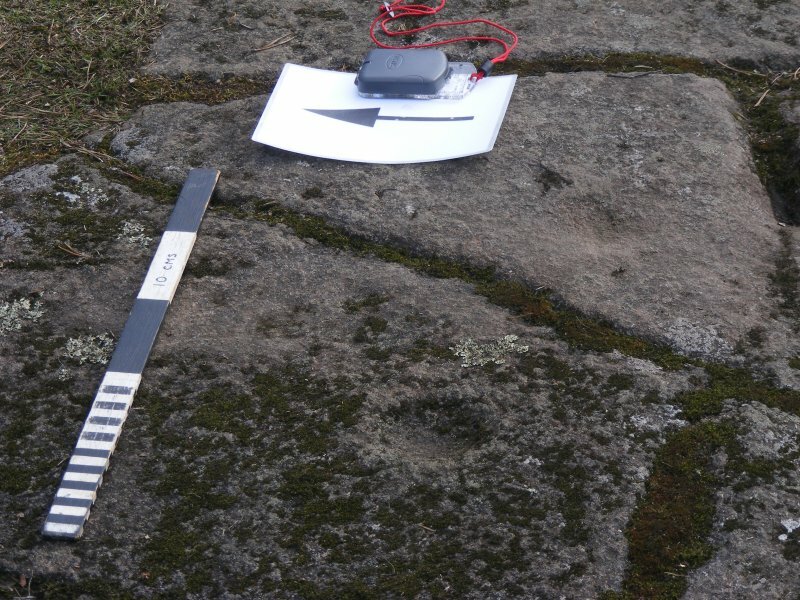 This facilitates the creation of a detailed database of information on rock art sites. 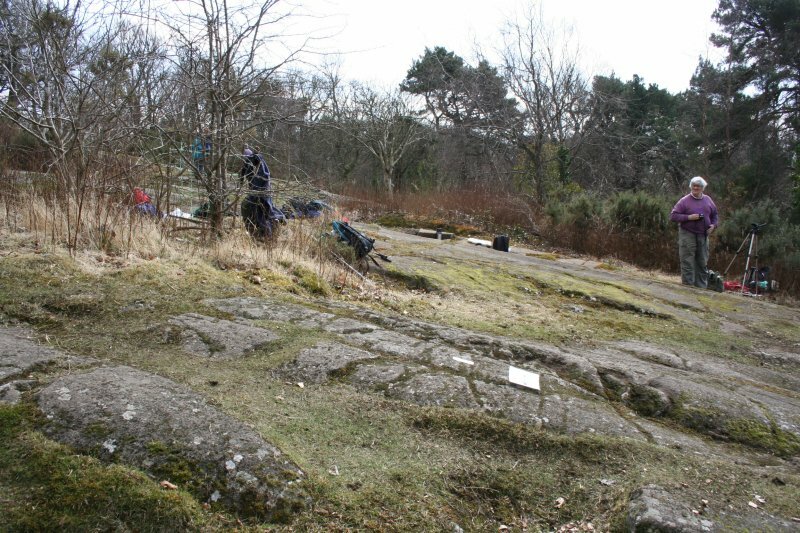 Four cup-marked rock panels (referred to hereafter as Corstorphine 1, 2, 3 and 4) are located within an area of roughly 100m x 100m on gently sloping, glacially fluted and smoothed dolerite bedrock on the west side of Corstorphine Hill, approximately 40 m to the west of a high point on the undulating ridge of the hill which is at NT 20579 74178. 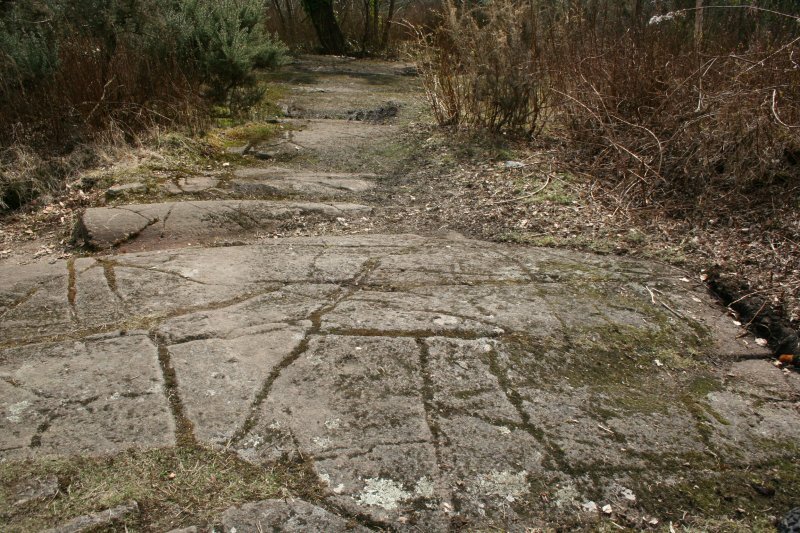 The rock panels lie in a clearing within woodland, with relatively open and extensive views to the south and west over the outer suburbs of Edinburgh to the Bathgate Hills in West Lothian and the south western Pentlands. 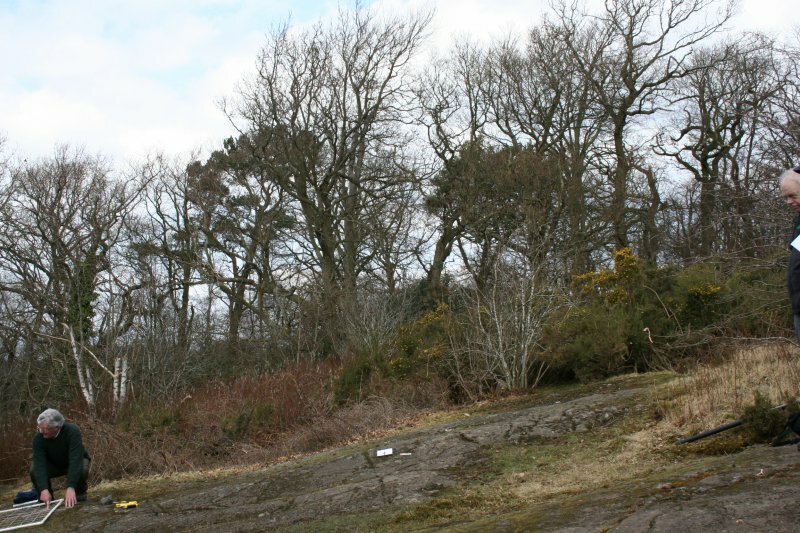 The area, which is situated in the Edinburgh greenbelt, is a Council managed local nature reserve, conservation area, listed wildlife site and geodiversity site with public access. 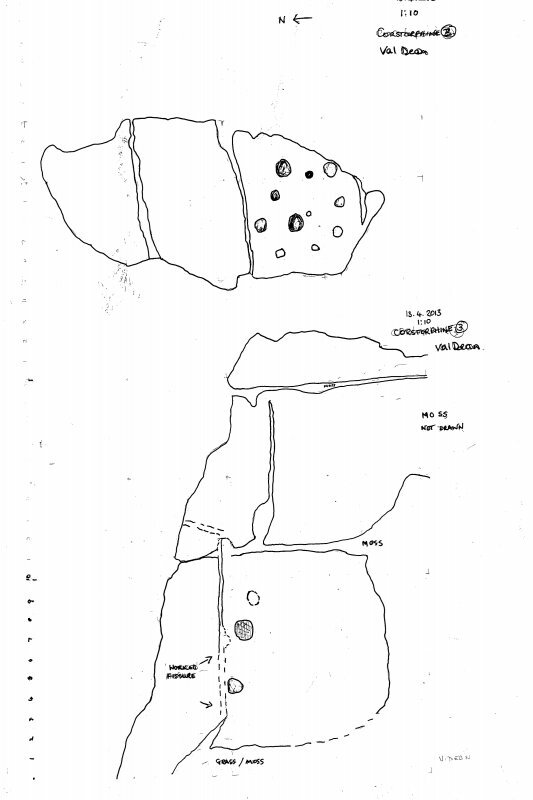 The remains of a possible structure were noted on the summit of the hill, and a partially collapsed dry-stone wall runs along the spine of the hill, defining the boundary of the Clermiston estate. 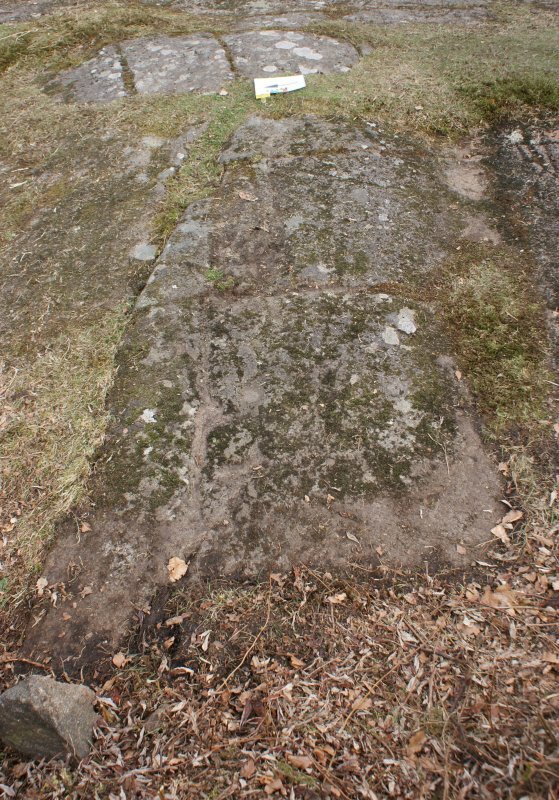 The date of construction of the wall is unknown, but the estate boundary has been in existence since at least the 19th century. 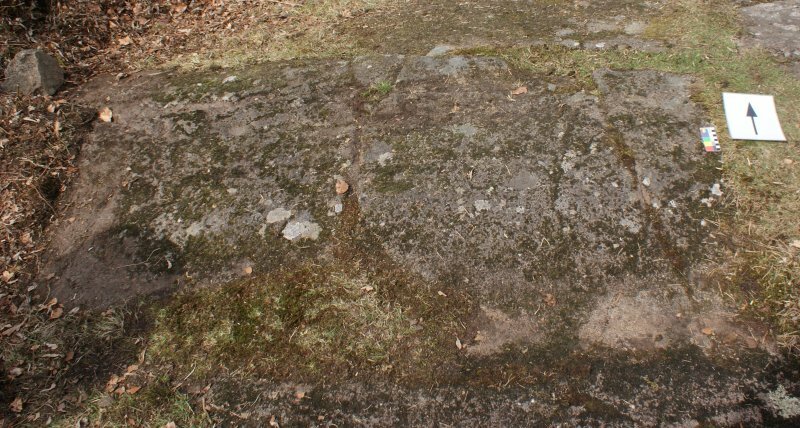 There is considerable evidence of small-scale stone extraction in the vicinity of the panels, and the possibility that other carvings have been removed cannot be excluded. 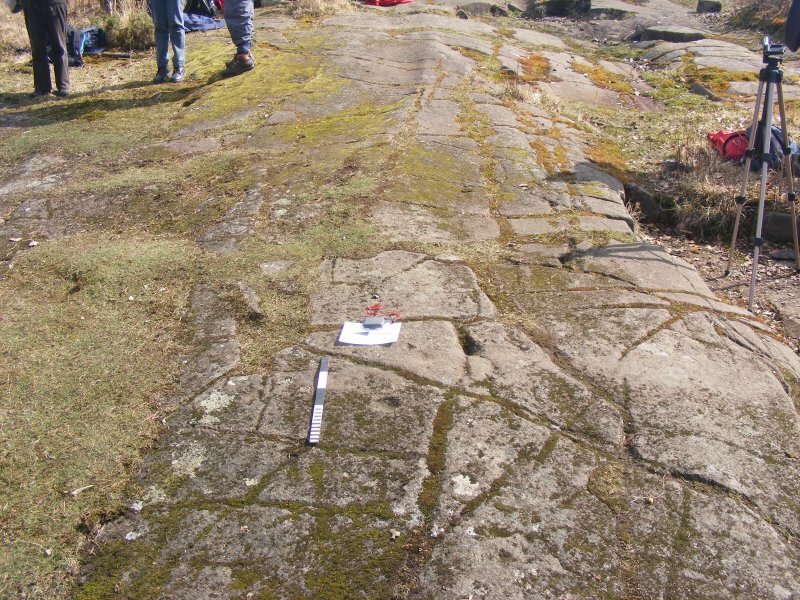 The bedrock is criss-crossed with natural fissures, some of which are of sufficient breadth and depth to have accumulated soil and turf, dividing the rock into separate panels. 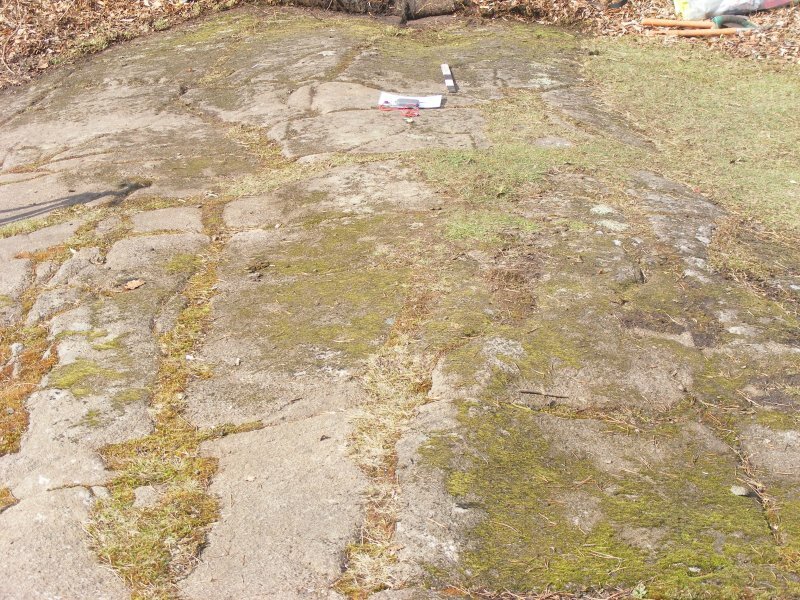 The carvings and bedrock are in relatively good condition, although there is significant moss growth in some areas, particularly on Corstorphine 1, and an accumulation of leaf litter and detritus with new vegetation growth at the W (downslope) end of the exposed bedrock which is starting to encroach on the carved area. Turf is encroaching on the carved area of Corstorphine 2. 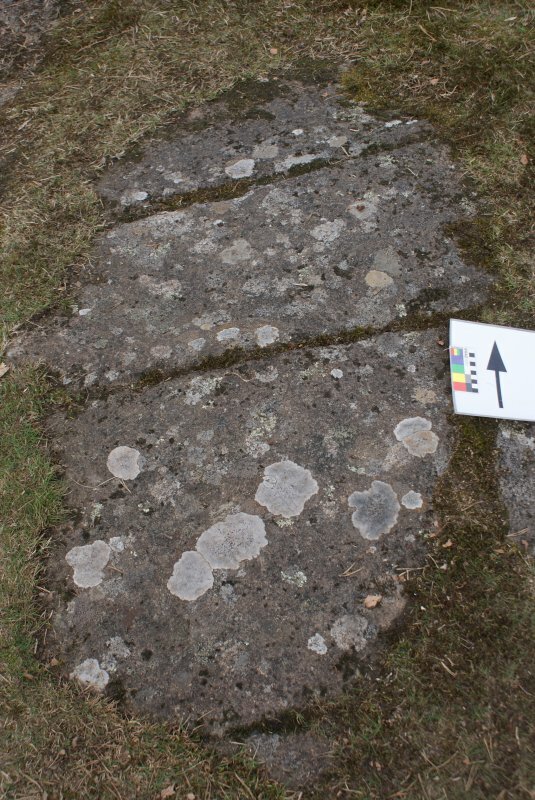 A well-used casual footpath runs across the panels, and directly over one of the cup marks on Corstorphine 4. There is also a possible risk of the area being used for fires and barbeques. 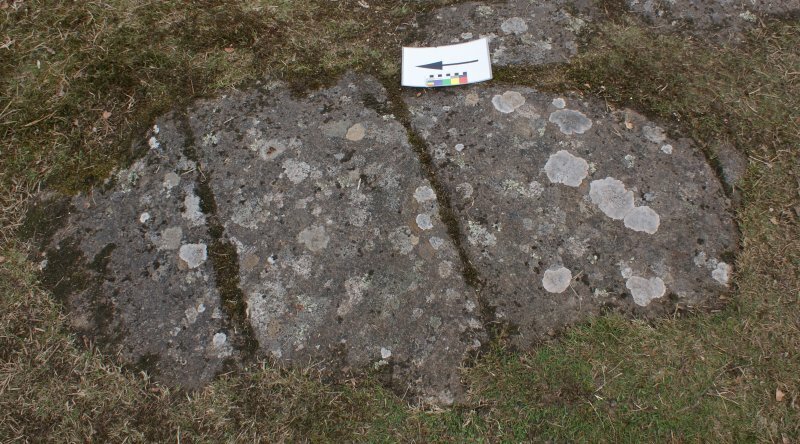 - NT 20527 74142 - The panel comprises a roughly rectangular area of exposed dolerite bedrock measuring 5.3 x 2.0 m, with an E-W slope of 15°. 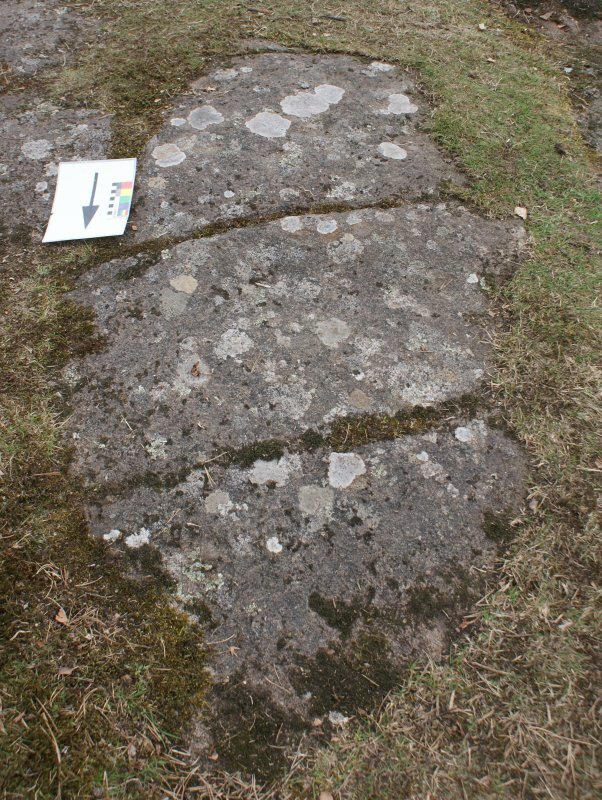 Five cup marks are located towards the E (upslope) end of the panel. 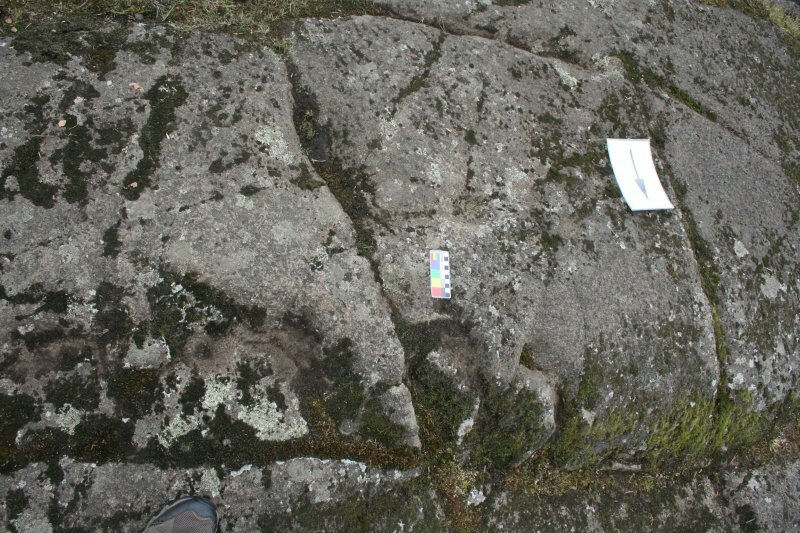 Two cup marks are located on the spine of a low, rounded ridge running longitudinally down the panel, one is to the north of this ridge and two are to the south. 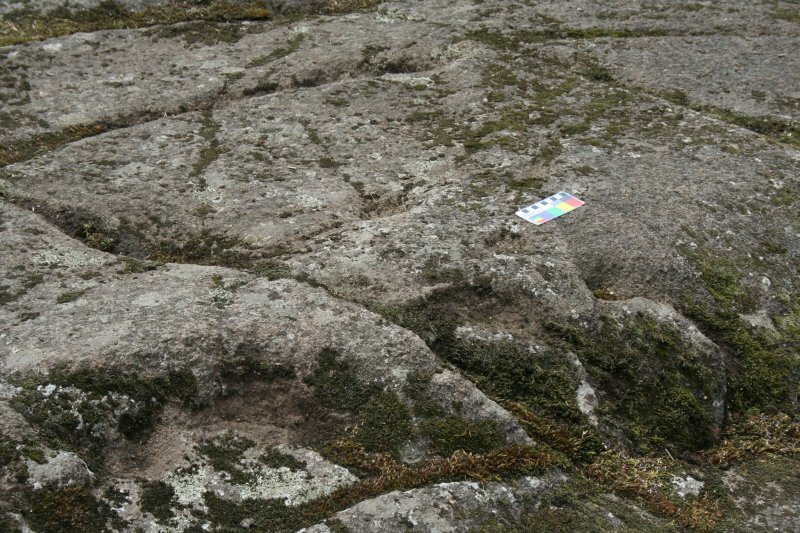 All the cup marks are of similar dimensions (6.5-9.5 cm diameter and 1.0-1.5 cm depth) with the exception of one larger cup mark on the south side of the ridge which measures approximately 13 cm diameter and 3 cm depth. 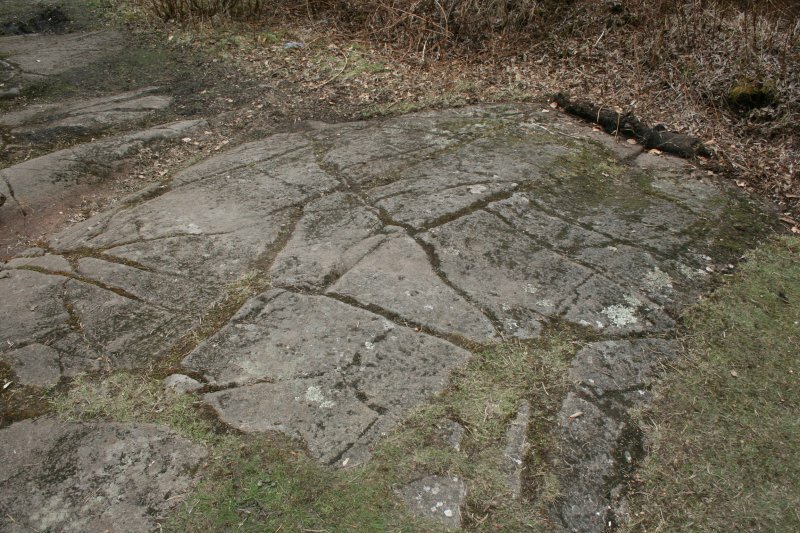 Several fissures cut across the panel surface, and four sub-circular features may be the result of some human activity. 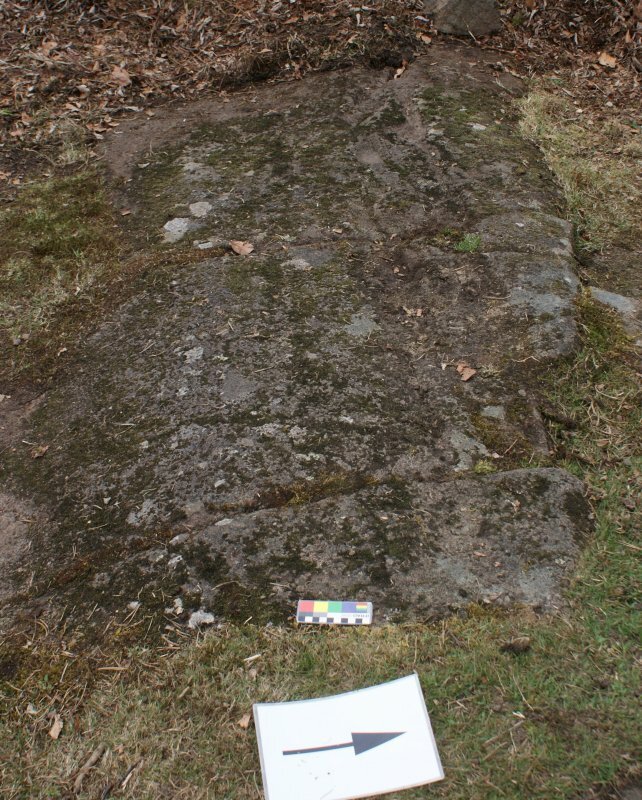 The panel is approximately 1 m to the E (upslope) of Corstorphine 2. 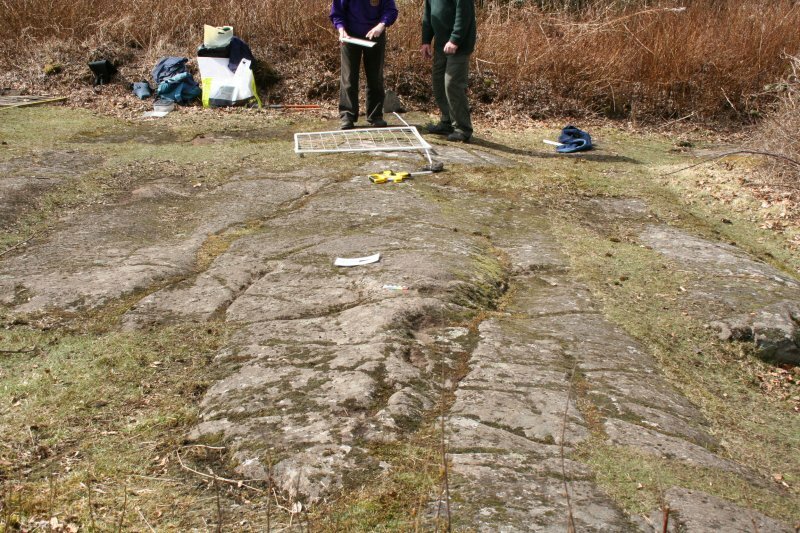 The panel comprises a roughly oval area of exposed dolerite bedrock measuring 1.8 x 0.8 m, with a N-S slope of approximately 10°. 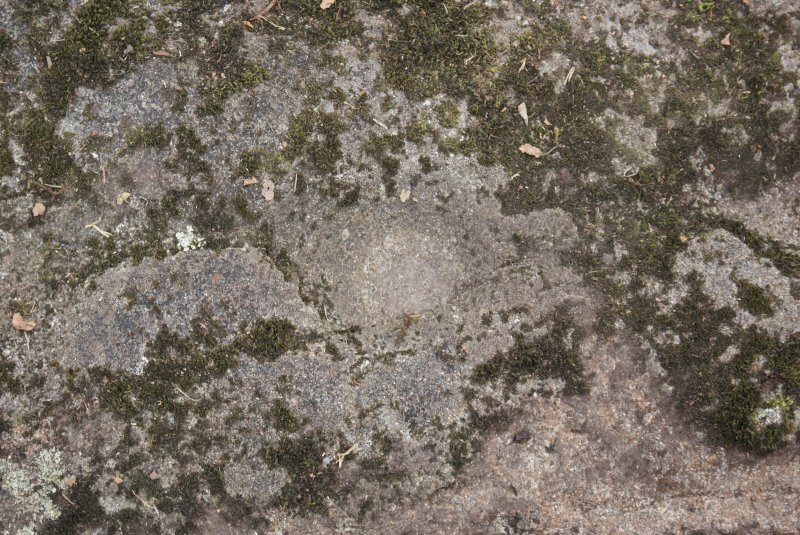 Eleven cup marks, ranging in diameter from 5 cm to 8.5 cm and 0.5-1.5 cm depth, are located in close proximity to each other. 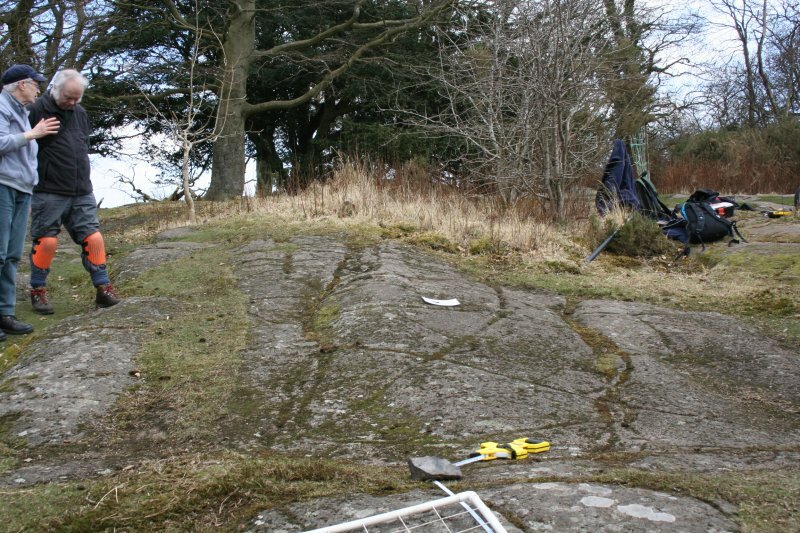 The panel is located 1 m to the W (downslope) of Corstorphine 1 and 0.5 m E (upslope) of Corstorphine 3. 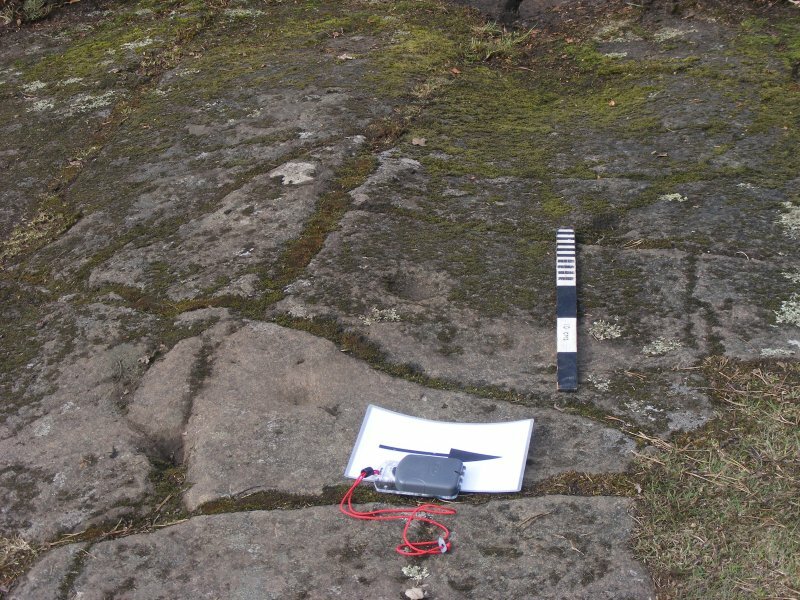 - NT 20523 74138 - The panel comprises a roughly rectangular area of exposed dolerite bedrock measuring 2.2 x 1.1 m, with an E-W slope of 10°. 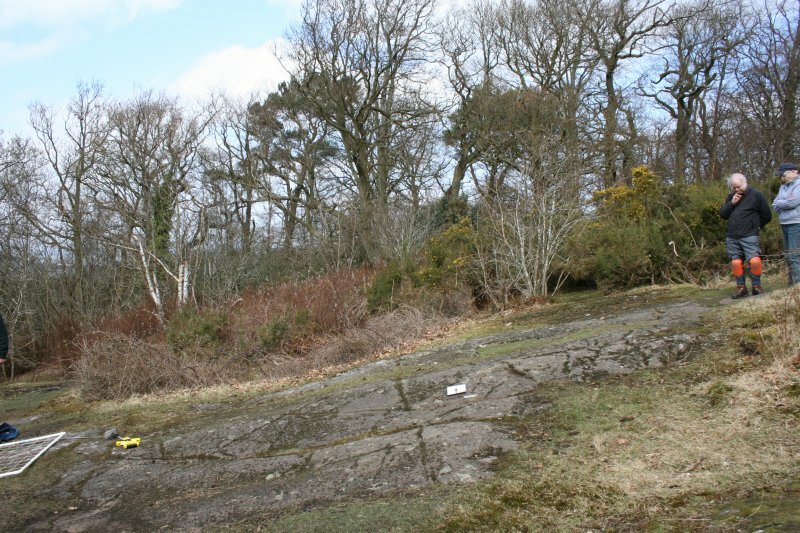 The W (downslope) edge of the panel is being encroached by vegetation. 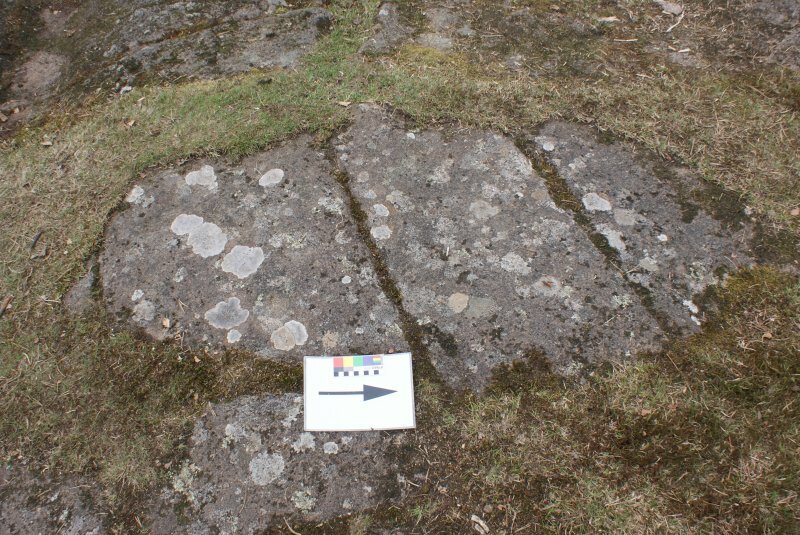 One cup mark, with peck marks, measuring 25 cm diameter and 4 cm depth is located towards the E (upslope) end of the panel. 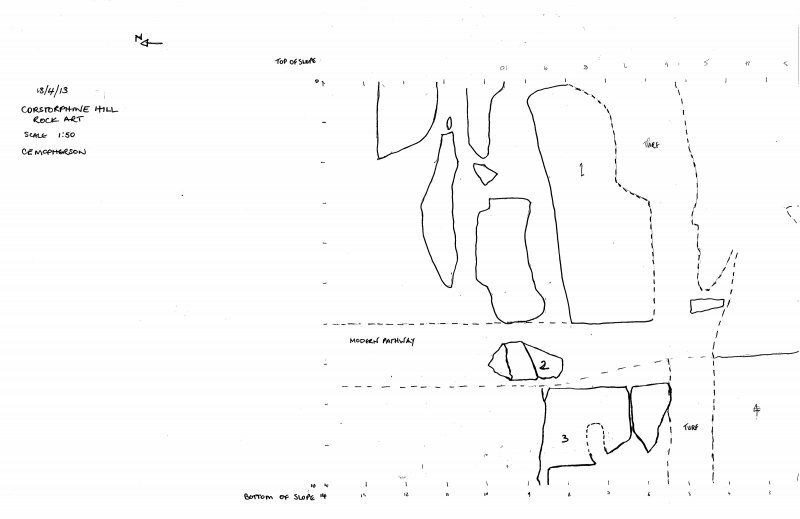 Three possible cup marks and a fissure with possible additional pecking are located further to the W. The panel is approximately 0.5 m to the W of Corstorphine 2 and 3 m to the N of Corstorphine 4. 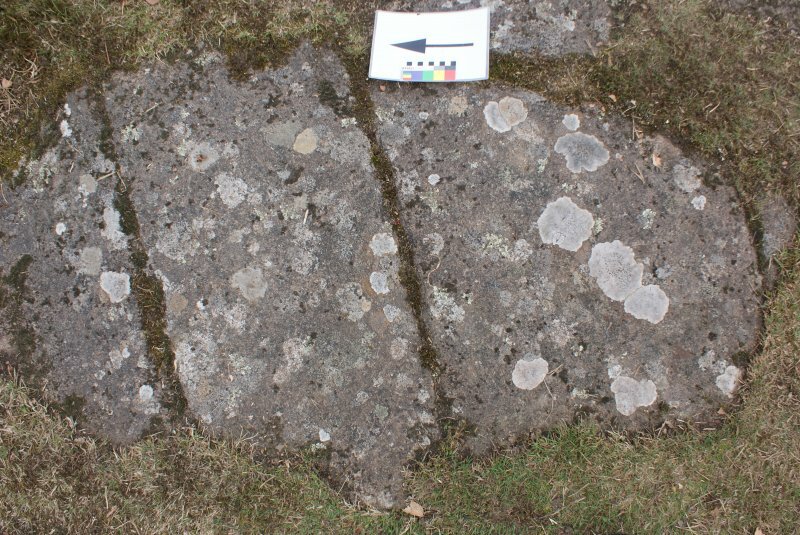 - NT 20525 74139 - The panel comprises a roughly rectangular area of exposed dolerite bedrock measuring 3.5 x 2.4 m, the W end of which is being encroached by vegetation. Two cup marks are located on a low rounded ridge running longitudinally E-W down the panel. 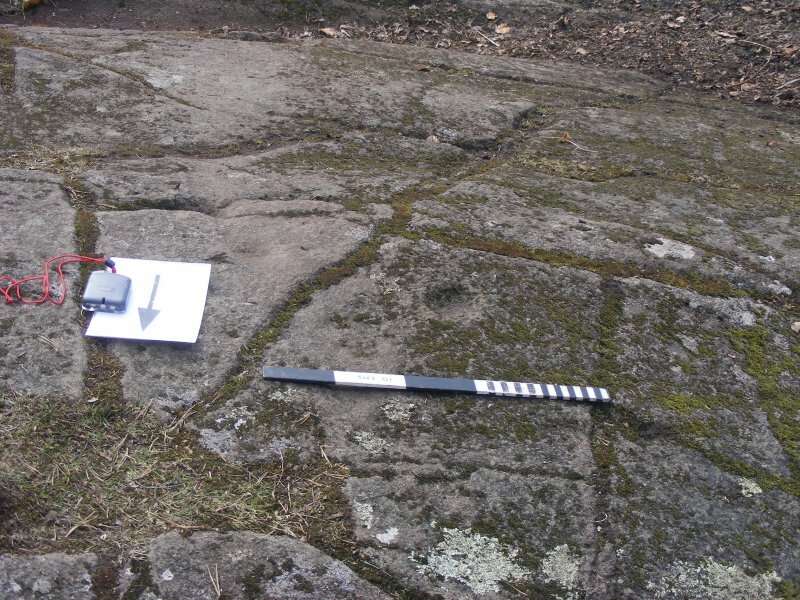 One cup mark is well-defined, with peck marks, measuring roughly 9.5 cm diameter and 1.5 cm depth. 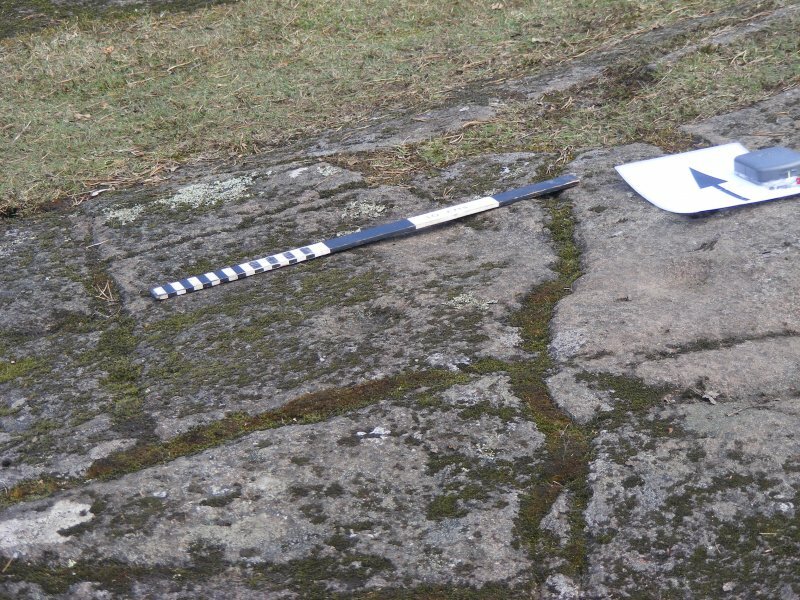 The second cup mark, approximately 10 cm to the E, is very shallow with a depth of less than 0.5 cm. 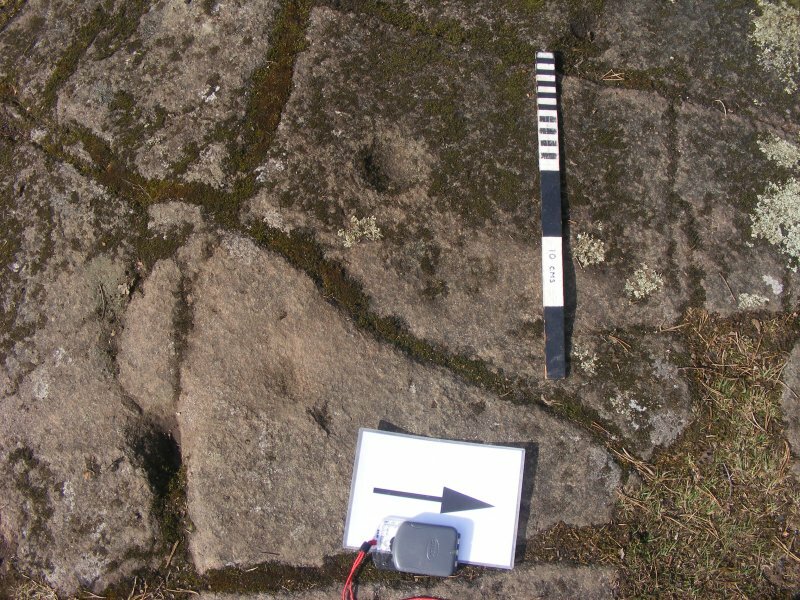 This cup mark is located directly on a casual footpath and may have been eroded by physical impact. 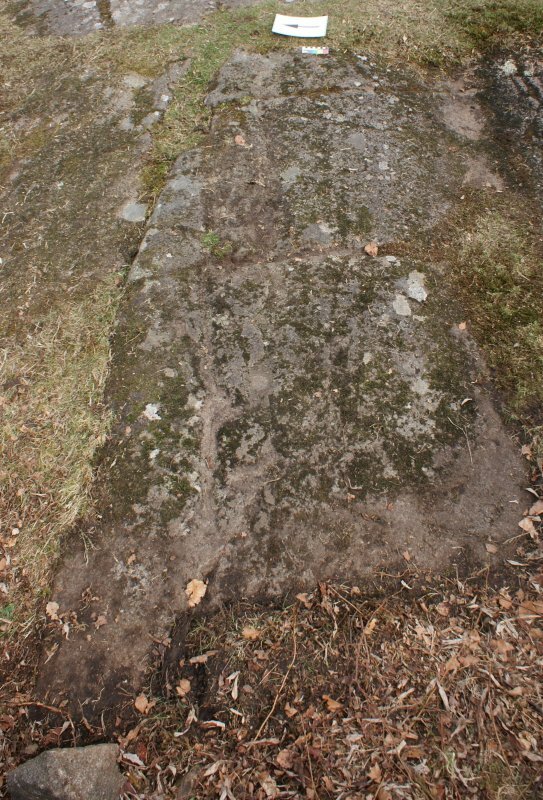 The panel is approximately 3 m to the S of Corstorphine 3.